Schnitzelburg Area Community Council: Schnitzelburg 100 Years Ago! Goss Avenue was home to many German familys including: Happel, Weber, Blumer, Schmitt, Huebner, Vettiner, Rothgerber, Streckfuss, Siehlmann, Schwankert, Snider, Metzler, Mueller, Hillenbrand, Herrman, Scharre, Lotz, Wetstein, Berger, Fritsche, Merz, Borgel, Snider, Feger, Klauser, Ohlmann, Breitenstein, Haarman, Mohr, Bayens, Schoenbaechler, Sturtzel, and Frankenstein (as in Benjamin, 948 Goss). 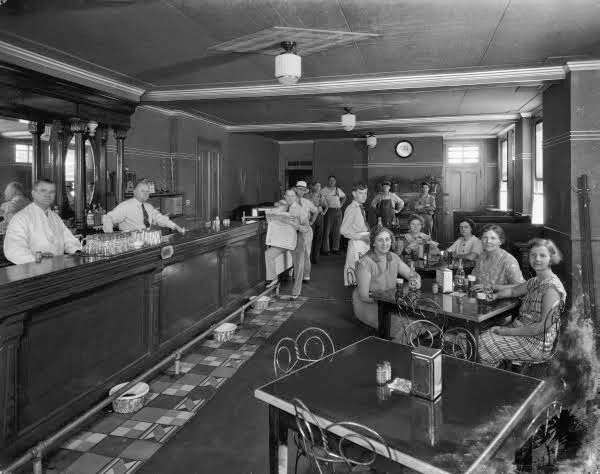 The B.F. Elfrig Saloon was located at Goss and Boyle (929-933 Goss Avenue). W.F. Hauck Dry Goods was located at 1000 Goss Avenue. Fred Schurch Dairy was at the corner of Goss and Eastern Parkway. J.H. Taphorn Saloon was listed at 1053 Goss Avenue. Jos Goss Dairy was located at 1355 Goss Avenue and Texas. The Weber farm was located at Texas and Milton. The Bauer dairy farm was located at Texas and Burnett. Milton Avenue Reformed Church is listed at 853 Milton. While the front door of Louisville Cotton Mills faced Goss Avenue, the business was listed at 1318 McHenry Street. Jacob Hartstern and W.E. Brentlinger operated a saloon at Ash and Shelby. J.H. Herbig Grocery was located at 1038 Ash. E.G. Fernow Drugs was across the street at 1039 Ash Street. 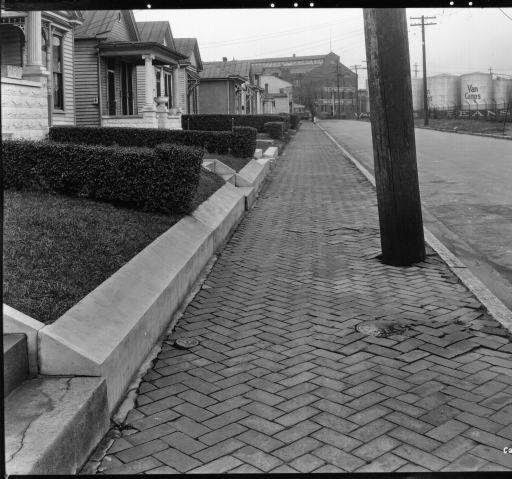 A view of the cobblestone sidewalk on Ash Street. Sarah Arnold Drygoods was located at 1100 Lydia Street and faced Bayens Grocery across the street at 1101 Lydia. 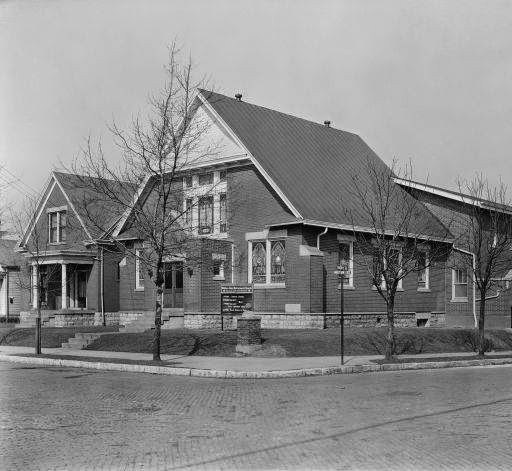 The St. Elizabeth Sister's House was located at 1010-1012 Burnett. 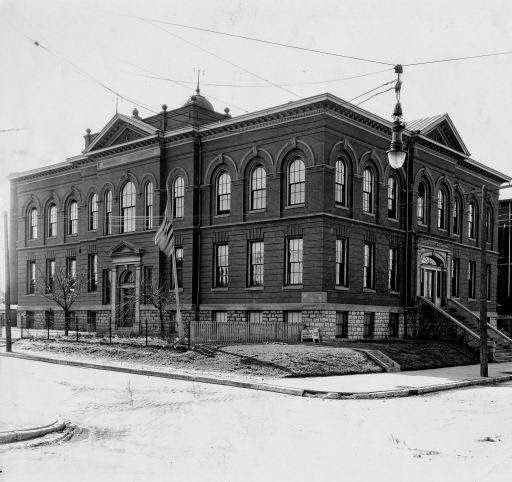 St. Elizabeth's Parochial School is listed at 1016 Burnett and the church is listed at 1030 Burnett. Knabel's Grocery is listed 1101 Burnett. Hickory Street was home to the Emerson School at Hickory and Sylvia Streets. *Thanks to Lisa Pisterman, our friendly neighborhood historian, for writing this article. Lisa is the author of Louisville's Germantown and Schnitzelburg, a book filled with history and pictures of Germantown and Schnitzelburg's bygone past.